I’ve been wanting to do this race for LONG TIME!! It always just seemed like a good time and while I’d been to Vegas before, for bachelorette parties, I’d wanted to go as just a solo vacation. 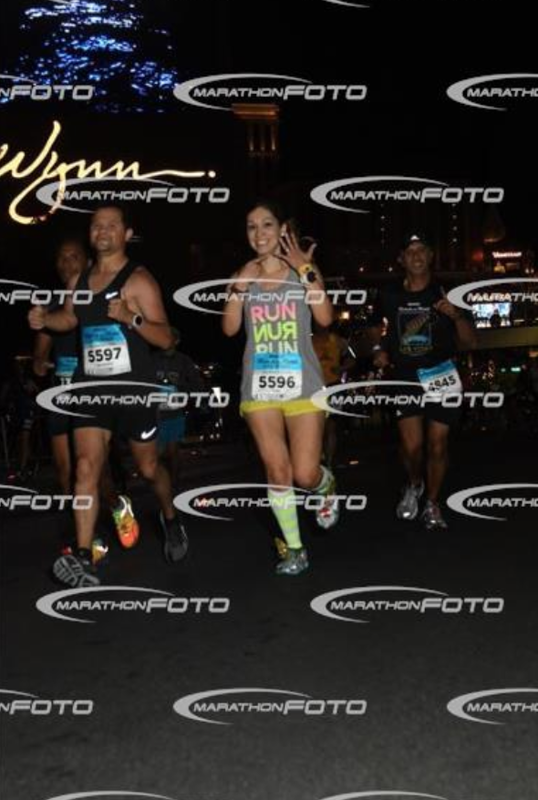 So, because I’m a Rock ‘n Blog Ambassador, I was able to pick a few races to run and there was no hesitation choosing RnR Vegas!! Some backstory–you know me and my crazy ideas, lol!!!! I had this GREAT PLAN to run the inaugural Revel Mt. Lemmon (in Tucson) Sunday morning and then drive to Las Vegas to run Rock ‘n Roll Vegas! 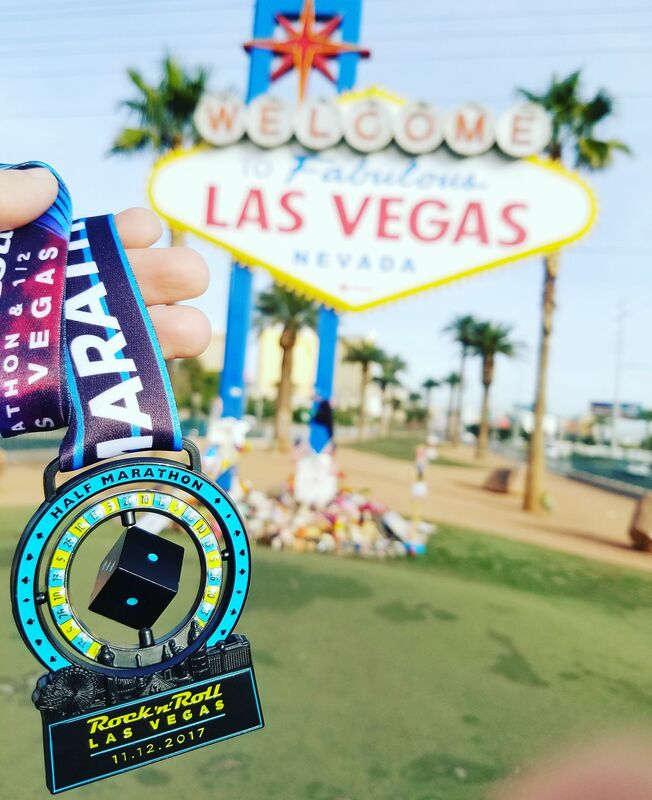 Two half marathons in two states in ONE day! Doesn’t that sound awesome!!!?? I somehow convinced my husband and I got us all registered. Then, he broke his toe on Monday. 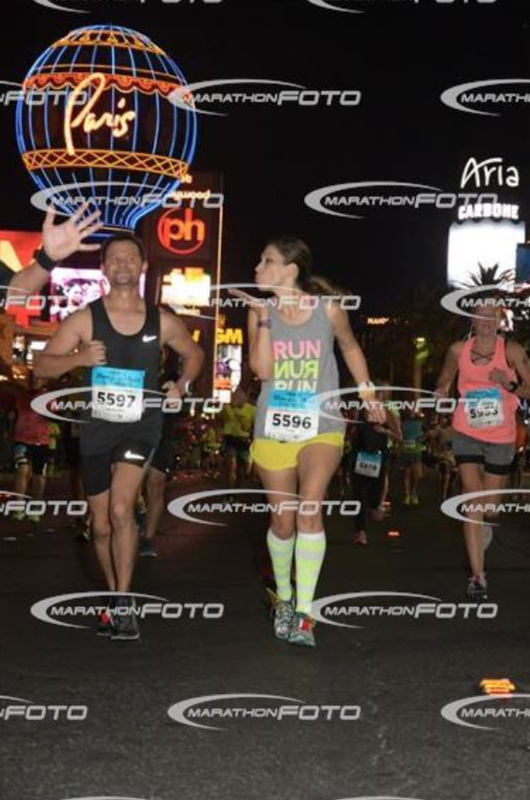 Yup, completely random injury–his toe was swollen blue and purple and after x-rays confirmed what we already knew, we decided to nix Tucson and instead, I would run Vegas on Sunday solo. Except my husband is a stubborn man (he’s also a runner soo…..) and said he felt good enough to run with me at my pace. My goal was 1:45 which would be 13.1 miles at MGP (8:00). I told him that if at any point he didn’t feel good, to walk and he promised he would. The Expo was huge and we stood in line for our traditional race coffee mug and got out of there. 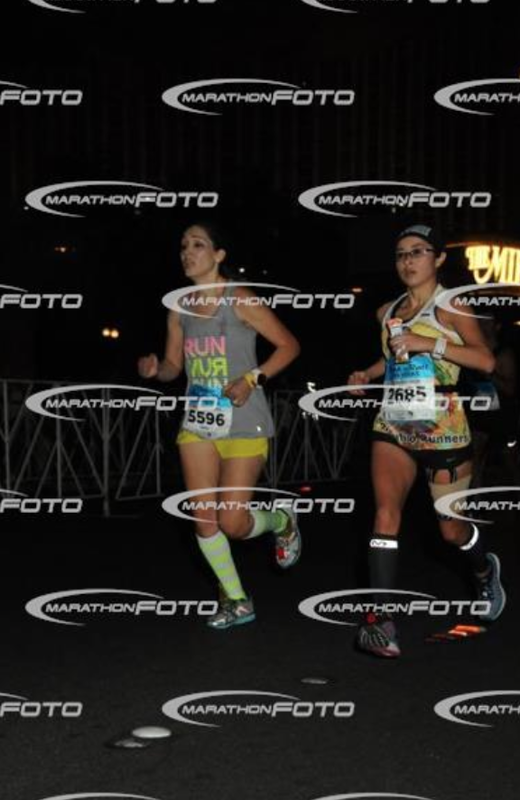 The race shirts were super cute and I was glad I went with the Medium (they ran small). 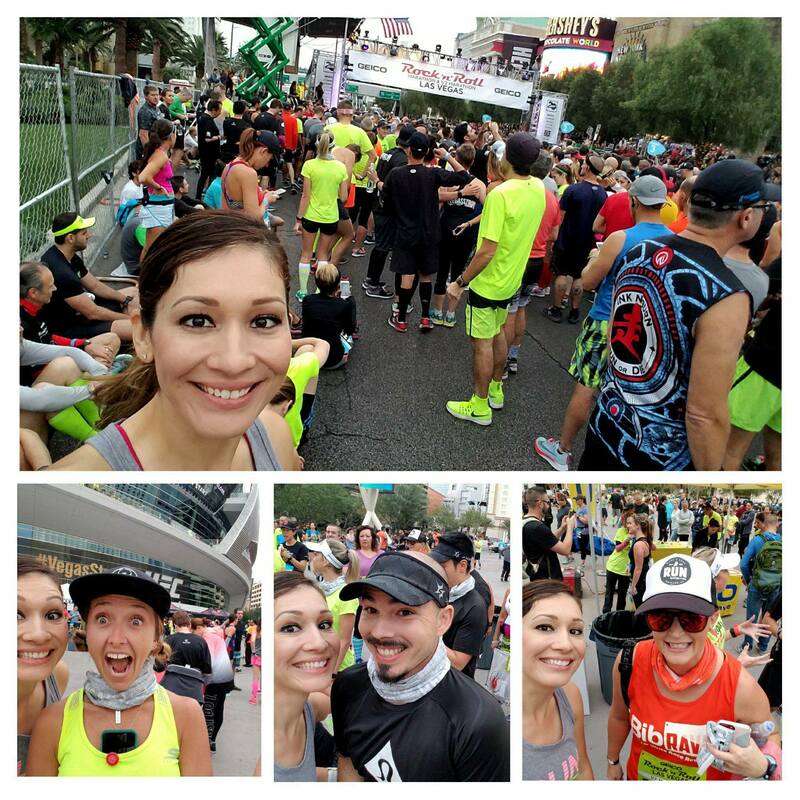 I didn’t hang out at all but knew I’d see some #WeRunSocial peeps the next day before the race. I was able to snag a quick pic with Carlee and Brian–I’ve seen them the past couple of years at Phoenix Marathon and a few other races. I finally got to me Slacker Runner too!!! And then we were off!! 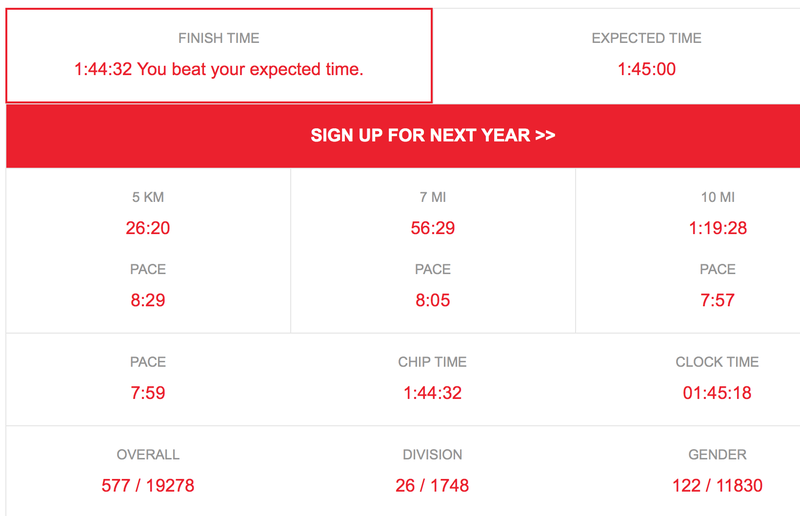 As I’d mentioned, I wanted to keep at goal marathon pace. The first mile was insanely crowded so I wasn’t worried when we saw a 9 something minute sound off. The second mile was 8:20something and by the third mile, we settled in at 8 or just under. But then before we reached mile 5 mile, my watched beeped 7:22!!! 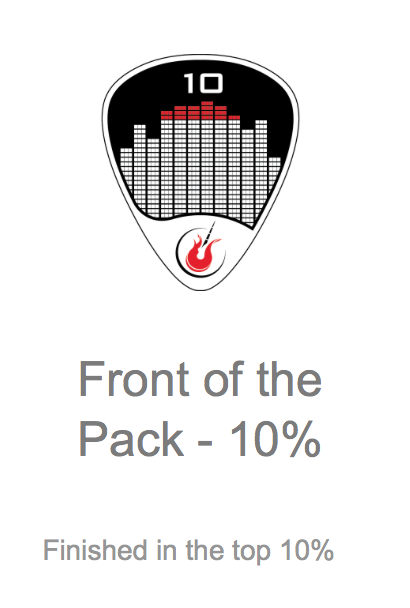 and a.) I knew we hadn’t hit the mile marker and b.) I knew I was running well, but NOT that well. I was bummed that my watch was now skewed but decided to just keep running. I felt at each mile I was holding on to my pace even though I didn’t have the watch splits to prove it. The way I gauged it was that I WAS PASSING PEOPLE THE ENTIRE TIME and having so. much. fun. I can count on one hand the races I’ve done where from beginning to end, I passed people. 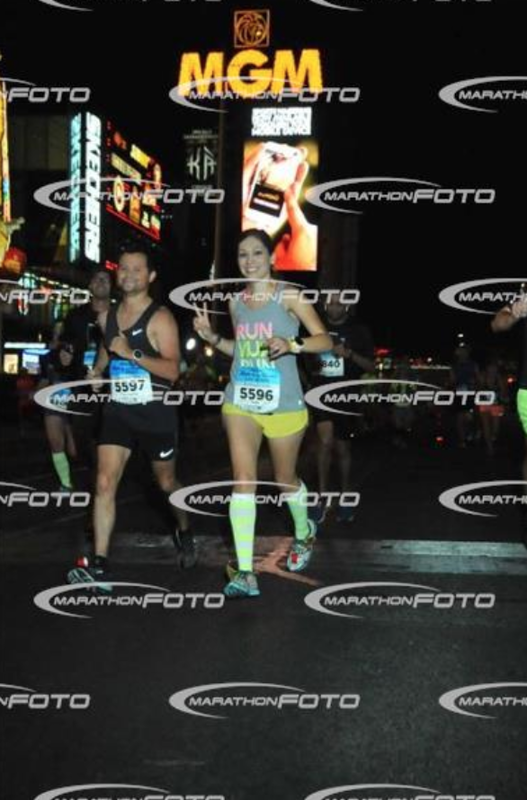 I just felt good (or maybe people were slowing as the race progressed, lol!) and just held on. At mile 10 we had to do a little u-turn to head back towards the finish and it was then I felt the pace become, still doable, but a tad uncomfortable. I held on, still breathing fine, but feeling the legs a little heavy. –Do you use races as training runs? And I totally remember you Vegas recap! I meant to ask, did you notice if it was harder to run at night? I never run as fast, but I think it’s because I have a tiny bit of night blindness, so I don’t see that well in the dark, so I’m holding myself back. Congrats! I love this Race. 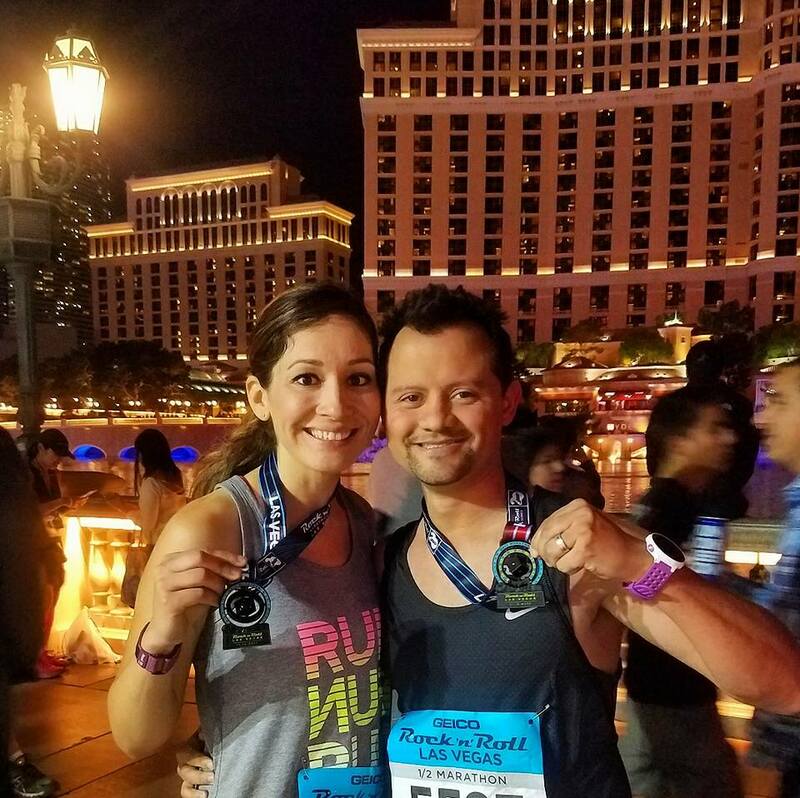 Las Vegas is my hometown so I’ve spent many an adventure on the Strip, but when I got the chance to go back and run the RNR, it was nothing I had experience in my 15 years of living there. 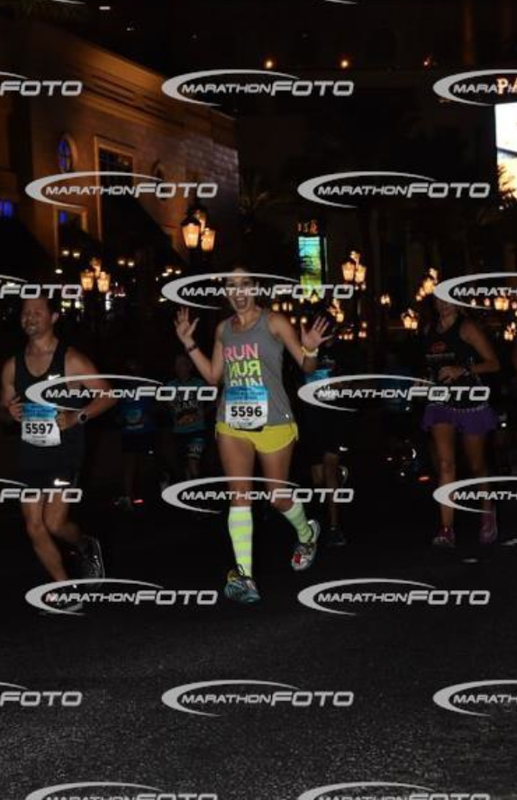 Definitely on the top of my favorite half marathons list! Did you get to see the Goo Goo Dolls? It was definitely one I was excited to cross off the list! Didn’t disappoint! Congrats on a great race. I’ve never been to Vegas but do think it would be a fun time. I have also yet to run a RnR race. Both are on my to do list now. That looks like a fun run! Awesome running!! That’s a really strong race! It was great meeting you out there. Vegas was an awesome experience. Soo cool to finally meet you!! !